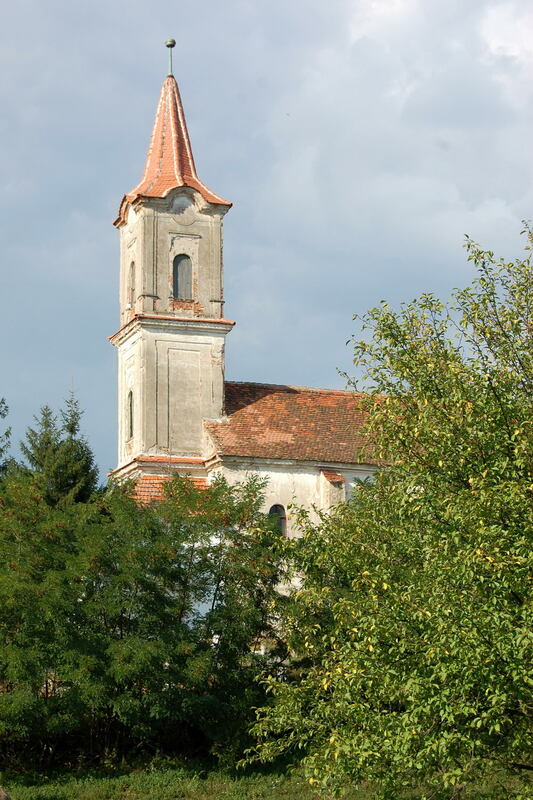 Romos is located east of Oraștie in the district of Hunedoara, on the left tributary of the Mureș River. 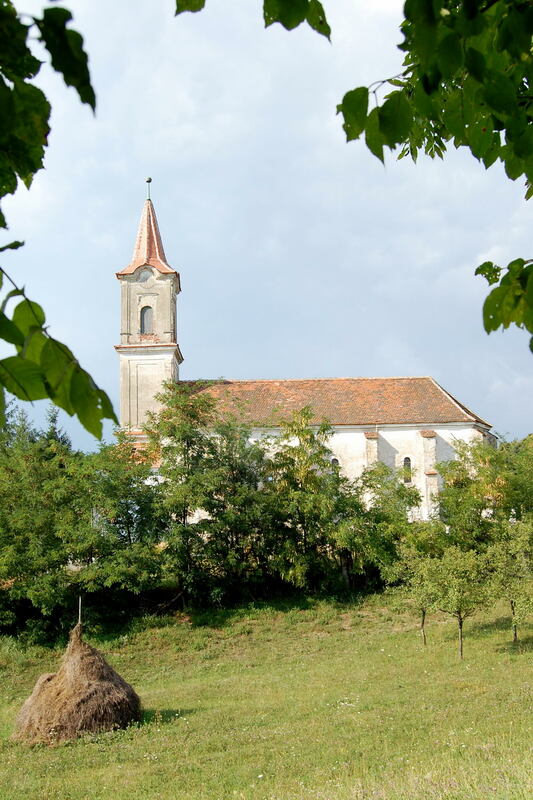 The village is one of the oldest settlements of the Transylvanian Saxons, first mentioned in 1206. From 1532 Rumes belonged to the Chair of Oraștie. During its heyday, 230 Transylvanian Saxons lived in Romos. The founders of the village probably came from Flanders – even today there is still a village called “Rumes“ with 5000 inhabitants in the Walloon region of Belgium, in the province of Hainaut. Today’s church stands on a hill, on the foundations of the Romanesque basilica, which dates back to the 13th century. The hall church consists of a simple nave, the tower is modern. Unfortunately, the church is still not listed for preservation – not much of the castle complex has survived. It was rebuilt several times over the centuries. Remains of the ring wall are partly preserved and can still be seen today in the southwest of the church. A historical event, which is closely connected with the village Romos, is around the figure of the so-called “Romos student”. Coming from Romos, he wanted to study in Sebeș. He was captured by the Turks during the siege of Sebeș in the 15th century. After 20 years of imprisonment he finally managed to escape. When he returned, he became a Dominican monk and from then on called himself Georgius of Hungary. The writing “Tractatus de moribus, condictionibus et nequicia Turcorum” (“Tract on the customs, conditions and uselessness of the Turks”) goes back to him. It appeared in German language in Rome in 1481 and in Nuremberg in 1530 – with a preface by Martin Luther. The text reports on Turkish lifestyles and customs and shaped the image of the Turks in Europe for many centuries. What is the Latin name of the so-called “Romos student”, which is often used in literature? (We are not looking for the proper noun “Georgius de Hungaria”, but for the Latin description of his faith). After our draw the winner will receive a fortified churches memory. Please send your submissions by 28 February to ab@kirchenburgen.org.